In times of crisis people strive for easy answers to complex situations. In Egypt this has resulted in absurdly digestible sound bites, where one side is labeled "good" (the Muslim Brotherhood), the other "bad" (the army), and the revolution as a whole is condemned as an atrocity. But the situation in Egypt is especially contradictory, and untying the social-political knots of the revolution requires avoiding pre-packaged catchphrases. 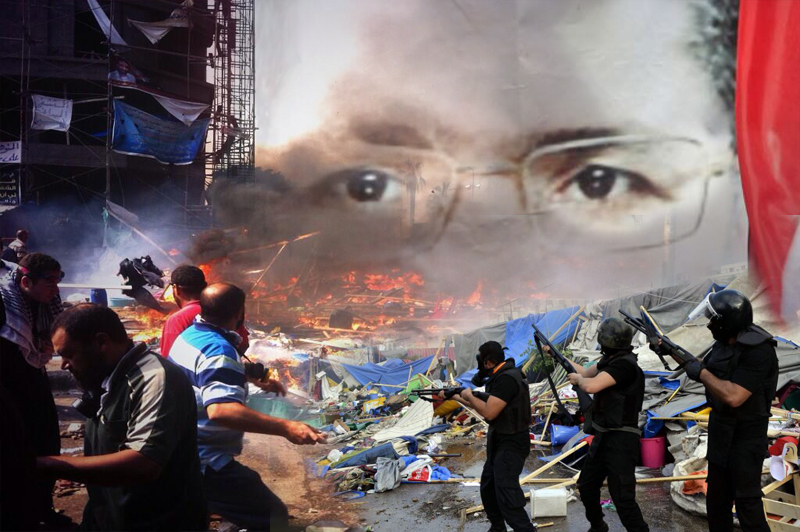 Contrary to the claims of many, reports of the revolution's death are greatly exaggerated. Those who predict that Egypt will inevitably enter a long period of military dictatorship forget that the Egyptian revolution destroyed such a dictatorship in 2011, and helped topple Morsi's authoritarian government in July. The people in Egypt have not been cowed into submission, they are still in the streets, unafraid, consciously aware of their power. The Egyptian military is very aware of this fact, as their actions testify. Although it's a tragedy that innocent people have been killed, it's also true that the Muslim Brotherhood represents not the revolution, but its adversary. Especially confusing is that another opponent of the revolution — the military generals — are leading the attack against the Brotherhood, which raises the question: why would one enemy of the revolution be attacking another? The current, bizarre-seeming situation in Egypt is actually common in the history of revolutions, having started in the modern era with Napoleon Bonaparte, who, during the French Revolution, consolidated his power by aligning with certain social classes against rival sections, and switching allegiances when necessary to offset the power of his former allies, until all political rivals were weakened, allowing him and his army to act as arbitrator and ruler. Bonapartism is also a sign of the political weakness of the military, which is not able to rule without aligning with certain segments of the population (this is why the Egyptian generals recently asked for mobilizations to signal "permission" to put down the Brotherhood's civil disobedience actions, essentially using Egypt's political left against the political right). 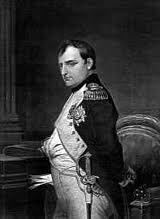 Bonapartism has been practiced by military dictatorships since Napoleon. In fact, Egypt's popular military President Gamal Abdul Nasser — who instituted many progressive measures in Egypt — was himself a classic Bonapartist, though one who uncharacteristically leaned left. For example, after surviving an assassination attempt from the Muslim Brotherhood, Nasser used the military to destroy the Brotherhood, while enjoying support from the political left in Egypt due to his progressive policies. After dealing with the Brotherhood, Nasser consolidated his power against the growing revolutionary left, by attacking both the communist party and trade unions. This political balancing act between political left and right is the hallmark of Bonapartism. Nasser's successor, Sadat, also used a Bonapartist strategy when he invited the Muslim Brotherhood back into Egypt to use as a right wing political battering ram against the Egyptian left. 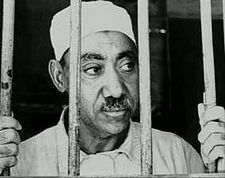 Sadat needed the Brotherhood as a political prop to help him reverse the progressive policies implemented under Nasser. Mubarak, too, used the Brotherhood in this fashion, for the same reasons as Sadat. It's true that both Mubarak and Sadat used aggressive measures against the Brotherhood at times, but they both allowed the group greater freedom for political organization than any other group, since the Brotherhood was a politically perfect compliment to the president's right-wing, neo-liberal policies. This pro-Brotherhood favoritism led to the situation where, after the fall of Mubarak, the Brotherhood was virtually the only organized political force in Egypt. After being dragged into the revolution kicking and screaming by their youth wing, the Brotherhood then opportunistically took power, while sharing none of the goals or vision of the revolutionaries. One common way that commentators have been confusing the situation in Egypt is by portraying the Muslim Brotherhood as Ghandian revolutionaries striving to restore democracy. But in the same breath these analysts say, correctly, "God forbid" if the Brotherhood is allowed to implement their vision of a fundamentalist Islamic State in Egypt, since doing so would automatically reduce the liberties of women, non-fundamentalist Muslims, and religious minorities. Yet another common mistake in assessing Egypt is to portray the conflict as secularists against Muslims. The Muslim Brotherhood does not have a monopoly over Islam in Egypt. Out of the millions of people who demanded the ouster of Morsi on June 30th, the vast majority of them were Muslims of the Sunni variety, just like the Muslim Brotherhood. But the Brotherhood's fundamentalist version of Sunni Islam remains a minority opinion among Egypt's Sunni majority. A further flaw in analyzing current events in Egypt lies in forgetting how the situation developed, which requires that we delve into the not-too-distant past of June 30th, when millions of Egyptians demanded the departure of then-President Morsi. These massive demonstrations were obviously at least as large as the ones that toppled Mubarak, yet the Muslim Brotherhood failed to get the message, and have attempted to use militant civil disobedience in order to reinstate the unquestionably unpopular Morsi. The military moved against the Brotherhood because they believed, correctly, that the majority of the population was behind them and against the Brotherhood, as evidenced by the much larger demonstrations that responded to the call of the military, not to mention mountains of other evidence documenting that opinion in working class Cairo neighborhoods has turned against the Muslim Brotherhood. And although there are many who simply dismiss the June 30th demonstration of millions as a "conspiracy,” it's impossible to force people to attend demonstrations with one united demand, "Morsi must go,” if they don't want to be there. Many "pro-conspiracy" analysts simply seem not to understand the profound political significance of demonstrations of that size, as if they're somehow common and not symptoms of a powerful revolution. It's true that the Egyptian generals — not to mention plotting foreign countries — are trying to implement their own agenda throughout the crisis, which always entails some conspiratorial maneuvering, but the demands of June 30th made it very clear where Egyptians stand on the issue: they spoke with their own voice. Although the majority of Egyptians are now anti-Muslim Brotherhood, the military's recent actions create new problems for Egypt's revolutionaries. The power of the Brotherhood will be shattered, but the power of the military will be enhanced. To prevent the generals from abusing their power against the Egyptian working class, revolutionaries need to quickly plan a way to protect themselves while furthering the demands of the revolution. Because the Egyptian left remains insufficiently organized, they must utilize the political strategy of the United Front, which unites broad sections of the population behind a limited number of popular demands. By doing this, the military generals will be powerless in the face of a united mass movement that is putting forth a positive program, as opposed to the current dynamic that is united around what Egyptians reject. A united front mass movement will win the hearts and minds of the rank-and-file Egyptian soldier, while also preventing the Brotherhood's fundamentalism from gaining a fresh batch of recruits. In Egypt the most immediate needs of the population — bread, jobs, social services, etc. — are the demands that continue to fuel the revolution and be the most uniting. If the political left put forth a plan using revolutionary methods to achieve these demands — reversing the privatizations, raising the tax rates on the wealthy, public works for employment, etc. — then the broader Egyptian working class would rally to achieve these goals, some of which were realized under President Nasser and reversed by Sadat and Mubarak. The Egyptian revolution does not have years to solve these problems; the economy of Egypt is facing catastrophe, and drastic action must be taken immediately. This is one of the reasons Morsi was ejected from power: he thought he could continue the Mubarak attitude of doing nothing substantial for the majority of the population, half of which lives in abject poverty and the other half scrambling madly to avoid such a fate. The higher expectations and new hopes inspired by the revolution must be accompanied by bold revolutionary actions capable of achieving these new expectations. Politics as usual is a thing of the past in Egypt. The revolution can avoid the fate of entrenched Bonapartism only if it is unequivocally aimed at addressing the pressing basic economic needs of the vast majority of the Egyptian population. The “democracy” argument also ignores the fact that the Muslim Brotherhood’s core beliefs are inherently and irrevocably opposed to democracy. For the Muslim Brotherhood, sovereignty lies not in the people, but in God and only those able to interpret God’s will as laid out in the Koran and within the framework of the Brotherhood’s ideology – i.e. 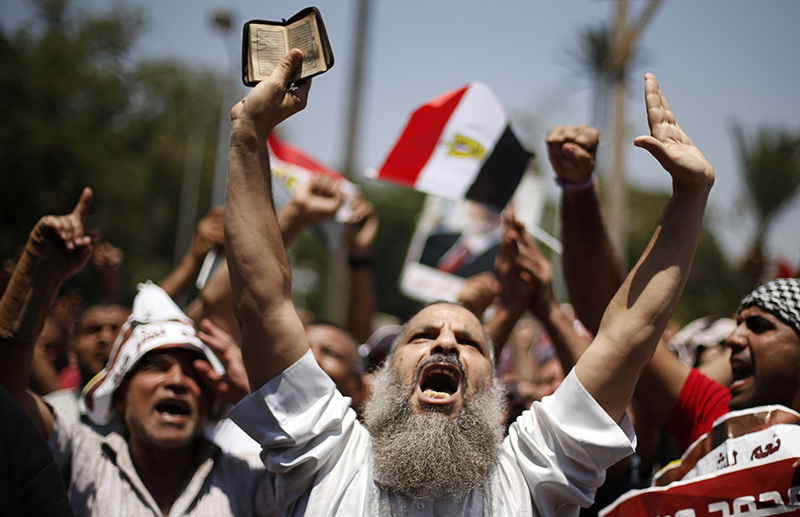 the Muslim Brotherhood’s religious scholars – can mould politics and determine public policy. To be sure, the human cost of ending the Muslim Brotherhood’s mass paralysis action has been truly appalling, but blame for this lies squarely with the Brotherhood’s leaders, who have turned down every attempt by the army-backed interim government to resolve the crisis peacefully and begin instituting real democratic civilian rule. Instead of acknowledging the fact that most Egyptians wanted an inclusive and tolerant civil state where all citizens – Muslims, Christians and non-believers – are equal, not an Islamic state with a constitution guided by seventh-century values, the Muslim Brotherhood chose the path of violence and, along the way, fooled many Westerners. As Abdelhadi says, the Brotherhood “has perfected the art of double-speak: the language of democracy and human rights to its Western interlocutors, but that of jihad and xenophobia to fire up its poor masses”. And fire up the masses – their own masses – they did, with the horrific results we see hourly on our television screens. The conflict in Egypt is not a dispute over percentages of election gains. It’s not about who rules. It’s rather about “what to rule”: the state of Egypt — or the Brotherhood’s state. This is the favourite argument of the lazy, the ignorant and the fake, one that is invoked to explain all problems, from the Arab Spring generally, to the Syrian civil war, to the crisis in Egypt. Proponents of this argument often hold contradictory positions but, having little understanding of anything, they do not even recognize the contradictoriness of their stances. For example, more than a few online left-leaning Western apologists for the Egyptian Muslim Brotherhood and its Palestinian wing, Hamas, simultaneously oppose the Syrian Muslim Brotherhood. They claim that the Syrian Brotherhood is a US-Zionist client while at the same time arguing that the move against the Egyptian Muslim Brotherhood is a US-Mossad-inspired operation aimed at satisfying “Zionist plans for Eretz Israel from the Nile to the Euphrates”, as one Alex James put it an email to us. The “US conspiracy” argument hinges on the fact that the Egyptian armed forces receive something in the order of 1.3 billion dollars in US aid annually and the fact that the Barak Obama administration has so far held back from cutting this aid in response to the clampdown on the Muslim Brotherhood’s Cairo sit-in. This is also a flawed argument because it ignores that, in the balance of bargaining chips between the United States and Egypt, it is Cairo, not Washington, that holds the upper hand. The US aid to the Egyptian military is given as an inducement for the Egyptians to continue observing the humiliating Camp David agreement of 1979. It is, if you will, a bribe. Given that Israel is more or less all that the US cares about in the Middle East, upholding the Camp David agreement is paramount as far as Washington is concerned. Consequently, whatever the Obama administration might think about the ouster of Morsi, it cannot cut off aid to the Egyptian armed forces without risking the Camp David agreement, and risking Camp David is something the Israelis would not want – or allow – Washington to do. In any case, the “US-aid-to-the-Egyptian military” argument may soon be resolved. According to a report by Daily New Egypt, the Tamarrud (also spelled “Tamarod”) movement, which played a major role in ousting Morsi by mobilizing millions of Egyptians against the far-right Islamist president, has joined a campaign aimed at ending US aid. In a statement, it demanded that the Egyptian government hold a referendum banning US aid, cancelling the 1979 Camp David peace treaty with Israel and rewording security-related treaties to allow Egypt to secure its borders. This, it said, is in response to the US interference in Egyptian political affairs, specifically, Washington’s tacit support of the Muslim Brotherhood. In exchange for economic aid and political support, they [the Muslim Brotherhood] will not threaten what they believe are core Western interests: regional stability, Israel, the fight against terror, energy flow. No danger to Western security. No commercial war. The showdown with the Jewish state can wait. The focus will be on the slow, steady shaping of Islamic societies. The US and Europe may voice concern, even indignation at such a domestic makeover. But they’ll get over it. Just as they got over the austere fundamentalism of Saudi Arabia. 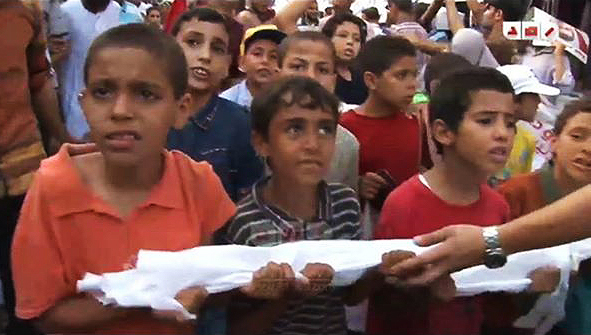 Bartering – as in, we’ll take care of your needs, let us take care of ours – Islamists feel, will do the trick. All in all, the arguments that have been deployed by the Western media and many of the commentators chosen by Qatari Al-Jazeera TV to appear on its news programmes, as well as by a various self-styled leftists, bleeding-heart liberals and right wingers, do not stand up to scrutiny. However, if it were a matter of factual scrutiny, these arguments would not be deployed for long. The problem is, we suspect, those who articulate these argument do so not just out of ignorance, but a combination of ignorance, ideology and political ulterior motives. As expected, and as the mainstream media was raving about the horrifyingly bloody crackdown on the peaceful Muslim Brotherhood ‘sit-ins in Cairo on Wednesday morning August 14, most Egyptians (the decent patriots with a functioning and sane mind still) we're heaving a sigh of relief. Unlike the second mass uprising on June 30, the clearing of the two sit-ins that have been occupied by brain-washed Islamists, thugs and potential terrorists was a thing, or better yet a popular demand, that everybody has been asking for over a month now. The decision to bust up those intimidating sit-ins has been taken for quite some time, only respecting the holy month of Ramadan and the concern about the possible high number of casualties and dead made the interim government leave space for diplomacy. And moreover, the police took all precautions not to turn this evacuation operation into a battle field. Some might cynically and instantly respond by saying “Well, it turned out to be a battle field after all, didn’t it” … and my answer is absolutely not, if you want to see a real confrontation turning into a battle field, contact your travel agent for a week’s vacation in Sinai, you will not only enjoy the sights, the sun and the blue sea, but you will also get to witness a 3D live thriller of al Qaeda warfare in a very rare and unforgettable close encounter. And even if the death toll was a little higher, the police forces were still to be commended, for the sit-ins crowd harbored considerable numbers of suiciders, including children who were molested into accepting the sick notion of alleged martyrdom. Those brain-washed suiciders were willing to die not under the flag of Egypt, but the black one of Al Qaeda. And that is the core of the problem; those sit-ins are carried out not by patriots and political activists but by sick-minded militants and potential terrorists. And I somehow, find it hard to believe that anyone could cry over terrorists. Now, and before getting further into this, and to put the reader into perspective, we need to clarify a few things. The protesters you used to watch, on TV news bulletins, occupying the Rabaa and Nahdaa squares are not politically motivated, as a matter of fact most of them are illiterate, politically and literally speaking. Those protesters were shepherded into this sit in, because they were made to believe that, believe it or not, Islam was in danger. I know, it’s funny … and it’s sad … but this is the name of the game, the MB game, in Egypt. Most viewers tend to sympathize with the scene of thousands of protesters in the street opposing any regime and somehow, and maybe unconsciously, feel related to the angry crowd. But hold your horses Ladies and Gents, for this crowd is different. This whole thing is not some political dispute, though carried out under political banners. As a matter of fact, the MB is one of the most politically incompetent organizations all over the world; the rise and fall of that terrorist group has taken less than two years. The political stupidity of the MB Morsi and gang ought to be studied and analyzed by scholars of politics and psychology. The current conflict in Egypt, is not between political rivals, oh no, and unfortunately this is exactly where most of the followers of the Egyptian status quo have gone wrong. The conflict is between Egyptians and a terrorist group that peddles religion and manipulates the piety of the uneducated, the poor and the gullible. MB is the big umbrella that ideologically nurtured all of the current Islamist terrorist groups. All of the militant groups, like Islamic Jihad and al Qaeda have been feeding on the ideology and theories of the notorious Sayed Kotb, one of the leading theorists in the bloody history of MB during the 1950-1960s. Kotb, for those who are not familiar with the name or his books, is the mentor of Ayman el Zawahri, the current al-Qaeda leader and he is also the spiritual guru for most of the Islamist militants from Afghanistan all the way to Morroco. Once again, MB is not a political party, as mistakenly defined, it is an international underground group, based in Egypt, with militant theology that endorses resorting to violence and assassination, aka armed Jihad, to overturn governments and replace it with a caliphate-era model. And it’s not so hard to tell you what a caliphate system looks like, one look at Taliban in Afghanistan or the Shabaab in Soamlia or even Boko Haram in Nigeria will spare me the unnecessary elaboration. 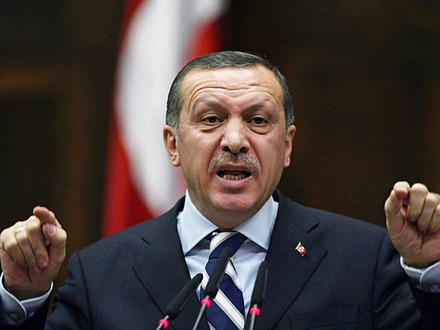 And if you were into history, consider looking up the Ottoman era, may be that will explain why this Erdogan, Turkey’s PM, is so pissed off by what happened in Egypt. Everybody and mainly politicians know for a fact that whatever happens in Egypt doesn’t stay in Egypt, and considering the bad history with the Turkish military, no wonder Erdogan is having sleepless nights, bedroom problems and looking always over his shoulder, (not to mention that his party is affiliated with the international MB network). MB is about a distorted theology that is based mainly on blaspheming and delegitimizing the other and the other is simply everybody who is not MB. Now, the imperative question is how could you play a fair game of politics with that kind of extremism and theological perversion? Ruling by the alleged holy sword and exploiting the name of god in eliminating any opposition or thought diversity, where could we go from there? We could do a lot, we could revolt, we could say it out loud and shout “down with the rule of the MB!” … Well, even if that sounded like a coup or a bit undemocratic in the eyes of the White House, Washington Post, and of course Al Jazeera. The hazy stand of the White House is quite understood, after all, the Egyptian second wave of the revolution that ousted their puppet Morsi, did away with the American plan of signing up yet another proxy government in the new Middle East under the convenient Islamist cloak of MB. And this proxy government is too valuable to lose that soon, for it is the government that will sell out Sinai to Hamas and Israel and thus relieve Israel and Uncle Sam of the chronic Palestinian headache. Time was running out, the Brotherhoodization was well underway, and Egypt was too close to a longtime national hijack. It happened before; Egypt had been hijacked before, by the Romans, the Turks and the British. But that was beyond control, for that was a foreign invasion. But this time it is more dangerous, and more ominous, because the invasion and the danger is from within. What is currently taking place in Egypt is politically quite new, it is something that history will forever mark as a model of confronting a malignant tumor in the body of a nation. Egyptians are not divided over a deposed president. For God's sake, that pathetic Morsi hardly had any popularity, not even amongst the Islamists, or even the cats. Everybody knew he was a pale shadow of a marionette on the wall, and the strings were being pulled from the White House and Tel Aviv. Egyptians are trying to evade the horrible Syrian scenario and If we want to comprehend the Egyptian case, one has to zoom out and take a look at the broader scene from the Algerian and Malian borders in the west all the way across North Africa to the Iraqi and Syrian borders in the east. You’ll soon discover that Egypt is the only nation, with a strong and unified military, that is still struggling to escape the sweeping power of the so called creative chaos and new Middle East. The so called Arab spring, a designation currently loathed by many Middle Easterners, has allowed one of the scariest and dormant threats to surface on the region’s political arena, namely political Islam. And for the sake of accuracy, the so called political Islam has absolutely nothing to do with Islam nor the science and norms of politics, for it’s all about the dominance of their dogma and by the name of their twisted interpretation of the scripture. And to achieve their goal, MB had a plan of demolishing the main pillars of the Egyptian state, namely the Judiciary, the free media and press, the army and of course the police. On June 28, 2011, and during the first days of the revolution, all of the police stations were attacked, ransacked and torched down … and as the days went by, new clues and growing suspicions of the involvement of the MB in those attacks and many similar jail breaks began to arouse. Only after the clearance of the ugly sit-ins did the Egyptians know for certain that the MB were behind those terrorist attacks on Jan 28, for the stupid leaders of the MB gave the orders to their loyalists to attack police stations and also the churches around the country, especially in upper Egypt, copy-catting the horrifying Jan 28th’ scenario. And after failing to succeed in plan A and B, I think the MB will resort to one of their old game of violent terrorism and organized assassination. And bearing in mind the obscene petro-dollars finance MB are getting from some of the Gulf Arab countries, it seems that Egypt is in for a long series of terrorist operations and assassinations. All doors are wide open for the creeping wind of orchestrated civil war. There is a growing belief amongst the wider sector of Egyptians, and amidst the ongoing turmoil, that the next president should be a military man who can pull the country together, restore order and peace and wipe out the terrorist threats of the MB. What has lately added to these pro-military sentiments is the shock caused by the sudden resignation of Mohamed El Baradei, one of the icons of the Egyptian revolution. 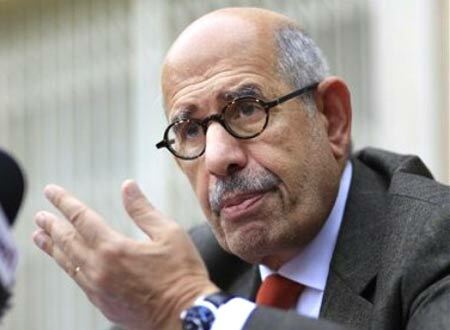 El Baradei, by his most foolish timing in submitting the resignation, which was totally unjustified, has deliberately not only embarrassed the interim government but also dealt a painful blow to the secular political front which used to consider him the guru of their movement. If Baradei was a military man he would have been ordered shot over the crime of desertion; for he abandoned his fellow fighters and left his post and weapon during a fierce battle. Egypt is facing tough days, and even tougher days loom ahead, but the good thing is that, with each passing day more masks are falling off, and the real ugly face of political Islam is revealed. As for the US and the European Union, they could carry on their make-believe and keep condemning the use of excessive force and cry over the violation of human rights, but Egypt will never allow their proxy regime to take hold of this great nation once again. David Swanson: Released provocative photo of Manning, emotional testimony by Manning's sister plays to psychological defense but defense misses opportunity to showcase Manning as a whistleblower. David Swanson's books include: War Is A Lie (2010), When the World Outlawed War (2011), and The Military Industrial Complex at 50 (2012). 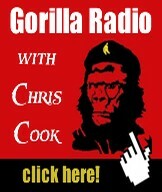 He is the host of Talk Nation Radio. He has been a journalist, activist, organizer, educator, and agitator. Swanson helped plan the nonviolent occupation of Freedom Plaza in Washington DC in 2011. Swanson holds a master's degree in philosophy from the University of Virginia. He has worked as a newspaper reporter and as a communications director, with jobs including press secretary for Dennis Kucinich's 2004 presidential campaign, media coordinator for the International Labor Communications Association, and three years as communications coordinator for ACORN, the Association of Community Organizations for Reform Now. He blogs at http://davidswanson.org and http://warisacrime.org and works as Campaign Coordinator for the online activist organization http://rootsaction.org Swanson also works on the communications committee of Veterans For Peace, of which he is an associate (non-veteran) member. Swanson is Secretary of Peace in the Green Shadow Cabinet. Fortune Minerals CEO Robin Goad is reportedly flying into the Sacred Headwaters, in northwest BC, for an emergency discussion this evening with elders of the Tahltan Nation. The 5 pm meeting will address the eviction notice issued by a group of 30 or more Tahltan elders, referring to themselves as the Klabona Keepers, to Goad's company on Wednesday, according to Shannon McPhail, Executive Director of Skeena Watershed Conservation Coalition. McPhail, whose organization is supporting the elders' action, has spent the week at their camp, amid Tahltan traditional territory in the Klappan, or "Sacred Headwaters". The Klappan is the birthplace of three major BC salmon rivers - the Skeena, the Nass and the Stikine. Tahltan elders have a successful track record of turning away unwanted development from their territory, having convinced Shell Oil to abandon its proposed coal bed methane operations in the same location last year. Fortune Minerals has been conducting exploratory drilling - under approved permits from the BC Government - for anthracite coal, in preparation for a proposed 4,000 hectare open-pit coal mine that would involve blowing off the top of Mount Klappan, a sacred site for the Tahltan peoples. The proposed Arctos Anthracite Project, currently under provincial environmental review, sits next to the Spatsizi Wilderness Area, approximately 330 km northeast of Prince Rupert - an important ancestral hunting and fishing site for Tahltans. Following the 24-hour eviction notice issued on August 14, three representatives of Fortune Minerals visited the elders' camp on Thursday evening, says McPhail. The meeting resulted in a temporary truce between the company and representatives of the Klabona Keepers - with Fortune agreeing to halt exploration activities pending today's meeting with the company's CEO. The Tahltan Central Council, which represents several bands with 5,000 members throughout the region, recently passed a unanimous resolution permanently opposing industrial development in the Sacred Headwaters. Says TCC President Annita McPhee, "I am not surprised that our people are taking action against Fortune Minerals, we have had concerns with a coal mine in the Klappan for many years and our people want to see the Klappan/Sacred Headwaters permanently protected." "Fortune Minerals' project is located in a critically important area that requires long term management and protection to preserve cultural and ecological values for the Tahltan people, and all of B.C." The BC Liberals also made protecting the Klappan a campaign promise in this year's provincial election, eliciting praise from local leaders like McPhee. "We are very encouraged that the Provincial Government has committed to working with us to develop a protection vision for the Klappan," she noted. "It is time to start building long term solutions that will protect our land and culture." Yet, less than a month following the provincial election, the Liberal Government triggered accusations of breaking this campaign promise, with the "fast-tracking" of the environmental assessment of Fortune's project - leaving many in the region confused as to Premier Clark's real intentions. Ministry of Environment spokesman Suntanu Dalal defended the province's actions in June, suggesting the government would establish a provincial roundtable, including representatives from First Nations, industry, labour and environmental groups, "to provide guidance to government on how to balance the need to protect important parts of the environment with the need to create jobs and wealth." For her organization's part, says Skeena Watershed's McPhail, "Fortune Minerals couldn’t have picked a worse place to try and build an open-pit coal mine. This project is in the wrong place at the wrong time, and the company should withdraw, rather than angering local communities over a project that will never be built." Tahltan elder-led blockades have a history of lasting for months at a time. A 2005 action against Fortune Minerals barred the company from entering the Klappan, resulting in 15 arrests and a protracted legal battle. Years of similar protests compelled Shell to abandon its gas tenures in the region last December. Watch for a follow-up report on the outcome of today's meeting. On 10 August, the newly appointed US Ambassador to the United Nations, Samantha Power, addressed the Fourth Estate Leadership Summit, an event of Invisible Children. This was Ambassador Power’s first public address since she took her seat at the United Nations. Invisible Children is the campaign group that has been behind several iterations of the “Stop Kony” video, which went viral in 2012. Power praised the group for its “new kind of activism” whose “army of civilian activists” had pushed the Obama administration to tougher action against Joseph Kony, the head of the Lord’s Resistance Army (LRA), and whose example had helped Kenyans and Russians and most of all Arabs, who “barely knew democracy as recently as three years ago,” to use the Internet to hold governments accountable. Power is not naïve. She knows that the Internet is not sufficient, since it is simply “a means to an end. What matters is the real world scoreboard.” The “real world scoreboard” touts up the exertions of power by actors that Power sees as benign, such as the United States government. Internet activism can prod the US government to action, and when it does, then it is effective. World history can only happen when the US government’s snout pushes along the Dialectic; anything else is simply the passage of time. What did the Stop Kony video achieve, according to Power? It pushed a US senator (John Kerry) to draft a bill to stiffen US action against Kony. This bill and its consequent law drew on two resources. First, since 1986 the United States had drawn up lists of narco-traffickers that it wished either arrested or killed, and to which end it provided a bounty on the heads of these people through the State Department’s Narcotics Rewards Program. Each reward was not to exceed five million dollars. Second, the State Department has used a similar rewards program for individuals who helped turn in war criminals sought by international tribunals and courts (for Rwanda, Sierra Leone and Yugoslavia). These international bodies had already drawn up their lists of criminals, for whose heads the United States provided rewards. The Kerry bill refashioned these programs into the Rewards Program Update and Technical Corrections Act of 2012, signed into law by Obama in January 2013. Dressed in sheep’s clothing, the ravenous wolves of the Global North defended their allies while they threatened their enemies. It didn’t help the latter that many of them are vicious and deserve to be caught and punished. But it did help the United States and its allies to concentrate the spotlight on them and allow their friends to sit in the shadows, smug in their impunity. It also allowed the United States and its allies to import armed forces into parts of the world (mainly Africa as it turns out) where it has interests to protect. Like so many post-colonial states, Uganda has not been able to settle its problems of political geography and political economy. A North-South divide in the country was exacerbated by British colonialism, which relied upon the South to provide it with recruits to the crucial King’s African Rifles and petty administrators for the region. When the South became the vanguard of the anti-colonial struggle, the British turned their recruitment efforts to the North, among the Acholi and West Nile groups, driving a wedge that endures. The South had been host to whatever economic development had been forged by colonialism, who brought in captive labor from the North. These fissures provided grist for the mill of post-colonial leaders such as Obote and Amin, both of whom used these divides to their venal ends. Yoweri Museveni’s National Resistance Army, rooted in the South, took on the Northern forces of Obote in the early 1980s that resulted in massacres of hundreds of thousands of people. Museveni came to power in 1986 through the National Resistance Movement, a thin veneer of difference from his army of previous years. It continues to rule Uganda, with Museveni crowned as one of the African Renaissance leaders by the Clinton administration. A defeated and demoralized North came together behind two millenarian cults, first that of Alice Auma Lakwena (Holy Spirit Mobile Force) in 1987 and then second after her downfall, that of her kinsman Joseph Kony in the 1990s. Kony’s LRA became a dangerous cult, kidnapping children, using violence to sow fear in Acholiland, and fighting a war against the Ugandan government without a defined political strategy. No political dialogue emerged during the 1990s or the early 2000s, as Museveni sought a military solution against the LRA and as Kony floundered through the haze of anarchic violence. In 2005, the International Criminal Court framed arrest warrants for Kony and four of his lieutenants, and the US government placed the LRA on its terror list. Not long after this, Kony’s LRA had been severely degraded and his remaining forces (not more than 200) fled to the Democratic Republic of the Congo, from where it is reported to have taken refuge in the Central African Republic. By 2012, the LRA was no longer the existential threat it was to Northern Uganda. It had become a criminal gang, poaching animals and stealing food, looking for survival rather than for political power. 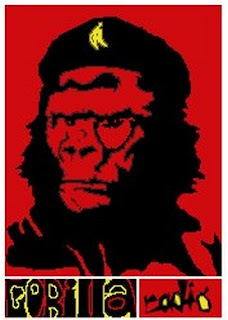 As the US State Department’s own Amanda Dory told Congress in April 2012, “The common assessment is that [Kony] has been significantly degraded and is in a survival and evasion mode at this point.” This sober assessment did not slow down the frenzy of the “Kony 2012” nor of the entry of US troops into the African continent. None of the grievances of the North that gave rise to Alice Auma or Kony have been settled. The fissures remain, even as Kony has been chased off. Invisible Children, which made the Kony 2012 video that Powers praised, has its roots in evangelical Christian politics. It came to Kony only after its foray into Darfur had floundered (on the way in which the Darfur issue suited both US and Israeli state interests, see Mahmood Mamdani, Saviors and Survivors: Darfur, Politics and the War on Terror, 2010). It sought an African mission to champion, an old colonial narrative of the white Christians who make their name by saving the black Africans. Their view of the conflict is simplified to the point of a cartoon: the more they demonize Kony, the more Museveni’s own dictatorial rule is minimized, and the more they validate the entry of US armed forces into the region (Obama sent one hundred military advisors to Uganda in 2010). Obama’s administration sinks in the quicksand of its liberal ambitions –few of its liberal foreign policy objectives have been met; not the closing down of Guantanamo’s prison, nor the tethering of an out-of-control surveillance apparatus, nor even the War on Terror in general. In fact, Obama has intensified the drone warfare in Yemen and Pakistan, and tethered itself to a resurgent Saudi Arabia on the back of Qatari withdrawal. To polish its carapace, the Obama administration has become a latter-day believer in gay rights on the world stage. Power went on Jay Leno’s program to talk about global LGBT rights and held a Google hangout with human rights activists where the issue of LGBT rights was center-stage (later, on twitter, Power mourned the loss of “Eric Ohena Lembembe, a courageous Cameroonian activist tortured to death last month”). But, to stay on the Uganda story, Power did not raise the issue of LGBT rights and Uganda. In 2011, gay activist David Kato Kisule was murdered in Mukono, Uganda. Kato had been a leader in the struggle for gay rights in Uganda. Invisible Children’s financial links to the Discovery Institute complicates matters for Powers’ liberal interventionism–Discovery’s head Lou Engle was in Kampala, Uganda in May 2010 heading up an anti-gay rally in support of an anti-gay bill that has been championed by President Museveni. Ambassador Power’s claim to move a pro-LGBT agenda at the UN is at odds with her choosing to give her first speech at a forum that shares much with the anti-gay agenda of the Discovery Institute and Ugandan President Museveni. She did not make any remarks about this at her speech at the Fourth Estate Summit. In fact, Power did not raise the issue of LGBT rights at that Los Angeles gala. This is standard issue “pinkwashing,” a cavalier use of a real campaign to re-brand the sinking ship of US soft power. Invisible Children’s “Kony 2012” helped shore up a new trend in US policy, to seek military solutions where much more complex policy options need to be considered. Forging military partnerships with Museveni’s Uganda will not help the people of the North, whose main issue is loss of land to investors, and loss of livelihood over the course of two generations. Nor will it solve the problems of a nascent people’s movement, which is being stamped down by the anti-protest Public Order Management Bill (passed by parliament on 6 August). Opposition leader Nandala Mafabi called this bill unconstitutional, but where will be the room to legally dispute it on the streets? None of this detained the human rights apparatus created by Rice and Power, and sanctified by Obama. Their human rights agenda is driven not by popular protests on the streets but by the cordite from an F-16. “What matters,” said Ambassador Power at the Invisible Children gala, “are results – everything else is just noise.” But what matters are well is ideology and power – who gets to define what is a crisis and who gets to frame the actions necessary to solve the crisis? In 2005, through US pressure, the United Nations adopted the Responsibility to Protect (R2P) doctrine. One of its champions was Samantha Power. The R2P doctrine holds that a state has the legal responsibility to protect is people, and if this state fails to do so the international community must involve itself with “coercive measures” such as economic sanctions but with military intervention as “the last resort.” In other words, the R2P doctrine is endowed with the ability to conscript Chapter VII of the UN Charter, which forces the United Nations to use military force. But, as has become obvious over the past few decades, the idea of the “international community” is not as global as it seems–that term has come to reflect the views of the North Atlantic countries, whose military hegemony through the US armed forces and its tentacular base structure as well as NATO gives them the ultimate veto over the narrative of world affairs. What matters, then, is not suffering in general, but the suffering deemed by the North Atlantic states to be against their interests, to whose defence the bombers are set loose. Last year, India’s former Ambassador to the United Nations, Hardeep Singh Puri, offered a robust criticism of the R2P doctrine from this general standpoint. Puri pointed out that the United Nations used the doctrine “selectively,” and when the United Nations selects a conflict for intervention, the armed phase is immediate rather than “calibrated and gradual”. The selectivity is a function of those who continue to exercise their power through the UN bodies, which is to say that the North Atlantic states set the agenda for the use of the R2P doctrine. Puri’s criticisms come in the wake of the Libyan intervention, which Obama, Rice, and Power use as the standard for the use of R2P. However, many powers, including the BRICS states, are wary of that usage. They argue that the United States misled the Council and then misused the UN Resolution 1973, a feint that forced UN Secretary General Ban Ki-moon to publically defend the NATO action in December 2011. It is because of the way the R2P was used in Libya that it the BRICS states have indicated that they will not allow such an open-ended R2P resolution, including for Syria. Power comes to the United Nations stepping over the rubble of R2P. In the Obama administration, Power did nothing to contain the “runaway state,” indeed she helped secure inside the United Nations a “law,” R2P, that gives the United States permission to be unrestrained. That is the Konyism of Samantha Power. Outside Makfouz Rouweiss store, Dahiyeh - This observer was sitting with my friend Zuhair on my balcony in south Beirut, when at 6:20 pm on 8/15/13 there was a huge blast that seemed to shake our 12 story concrete building more than the one just down the street did on July 9. We both leaned over the railing at the same time, me commenting that I did not see any smoke and he said only two words,” Bir Abed.” He meant, as it turned out that the blast, rather than being two blocks east and one north of our buildings entrance as was the case with the last one, it was three blocks east and three blocks south. It was on the same road as the July bombing, but this time, about two hundred yards from the Hezbollah Media Relations office, at the end of our street, which my friend Dr. Ibrahim Mousawi heads. We parted without speaking and thanks to my motorbike and being known to many of the security guys who within minutes of the blast were moving metal traffic barriers to block the area’s streets to check everyone in the area, and waived me through, I arrived in a few minutes amidst screams and wails, shouting, scorched bodies, massive flames from many cars and the fronts of buildings blown off, shop fronts destroyed, and dense black smoke pluming over the area and visible for miles. I stood for more than an hour just inside a women’s shoe store sometimes moving along the sidewalk, which front had been blown off and wanting to stay out of the way, just watching and grimacing as emergency vehicles began to arrive and thousands, not hundreds, of Hezbollah security and supporters, many armed, arrived and directed the fire trucks and ambulance, helped wounded neighbors among much shouting and emotion. Grown men crying, women praying, and before long a group of young men beating their chests in defiance, chanting “Haidar, Haidar, Haidar’ and Shia ritual meant to identify with the events of Karba in 680 when Hussein bin Ali, the grandson of the Prophet Mohammad (PBUH) sacrificed himself in defense of Islam. A particularly bizarre incident for this observer occurred when a friend called and asked where I was and if I was ok. I replied, “I am at the scene near Mahfouz Stores in Ruwais next to a butcher shop and down the block from Banque Libano-Française and Harkous Chicken Restaurant. She later told me those were my exact words. When we hung up the phone I glanced again to my right and did a double take at what was the remains of a partly butcher-carved sheep or maybe half a hanging cow. Both are common sights in this part of the world. As time passed I glanced again at the handing animal and thought to myself that the explosive device must have contained pellets because the animal carcass flesh, which had visible darkened in color since I first stood next to it, no further than five feet away, maybe half an hour earlier on arriving. It also seemed to be riddled and partly shredded. I did not pay much attention to it since I was surrounded by such chaos and arriving EMS vehicles and people being helped into them. Not much later, a Hezbollah security/civil defense worker came and stood next to me. I had seen him around the neighborhood before and he did not ask for ID which I expected and always keep at the ready. “Animal! Dog!” he exclaimed in disgust as he glared at the dangling carcass and spit. “Aiwa, maybe a sheep or cow but surely not a dog this observer obtusely replied.” He looked at me quizzically and said, “You no understand. This is the dog who did the operation!”, meaning, the suicide bomber who may have been the driver of a white van that neighbors say they saw deriving back and forth looking for a parking space just before the blast. I looked at the hanging carcass again and saw what did look like part of a leg, and maybe half an arm, but the mass of the flesh was in the middle, maybe a stomach and organs. Then it dawned on me, as many things do these days, ever so slowly. We were not even in front of a butcher shop! But a shop selling pink and gold small hand bags which we strewn all around, next to the shoe store. And there was no butchers hook to be seen, rather the body has been blown across the intersection and somehow lodged in between two thick workmen’s planks that were maybe 12 feet off the ground on rusty thick metal scaffolding. I could not see if there was a head attached, and did not want to appear nosy, but something was keeping the body hanging just above us between the two planks. Soon three others guy arrived and, presumably out of Islamic respect for the dead, two of them climbed the scaffolding and tore some plastic strips off a banner advertising a sale and draped it over the remains. I am not sure how the security guys could be so certain that this was the remains of the bomber rather than one of the so far 27 presumed killed (a father and three of his children remain unaccounted for). More than 340 are reported wounded as of press time, with victims being taken to Hezbollah’s Rassoul Hosptal on airport road, to Bahman Hosptial next to where I live and which is run by the Sayed Mohamed Hussein Fadallah charity, and others were taken to Al Bourj and Sahel hospitals in our neighborhood. Additionally, approximately 350 families have been displaced. But their accusations are in all likelihood being made not based on hard evidence but for the political purpose of an admirable attempt to tamp down Sunni-Shia speculations and suspicion vis a vis the others. Analyst and Hezbollah expert Waddah Charara, whose views this observer particularly values, said Hezbollah’s arch-enemy Israel could have been behind the latest car bombing.”I think the attack is part of a war being waged between Israel and the Shiite movement, that recently brought on the Israeli soldiers’ incursion into Lebanese territory,” he told the media. Hezbollah has not taken a clear position as of press time and have declined to comment. But SG Hassan Nasrallah with speak tonight and give this thoughts. Fadallah MP, Dr. Ali Fayed, whom I consider a valued friend and who is one of those within Hezbollah working to enact the elementary right to work and to own a home for Palestinian refugees in Lebanon said last night on NBN TV, that the explosion was a “very dangerous act” but highlighted that Hezbollah and its supporters will not be dragged to strife. Fayyad said regardless of the perpetrators “in case it’s Israel or terrorist organizations” that stand behind the attack the Lebanese must unite. Separately, one of the more than two –hundred active militia in Syria, which calls itself the Company of Aisha Umm al-Muminin, the Prophet Mohammed’s favorite wife is claiming responsibility and promises more attacks. Several other Syrian rebel groups, some with members now in Lebanon, have issued threats against Hezbollah and vowed to target it. Analysis of the increased number of security cameras in our neighborhood may reveal more clues plus it is rumored that one suspect was arrested at the scene and is being interrogated. Revisiting the scene this morning at 3 a.m. this observer found it cordoned off, flood lite, and numerous investigators working the scene. Meanwhile, caretaker Prime Minister Najib Miqati called for a national day of mourning on 8/16/13. The Trans-Pacific Partnership: "A pig in a poke " that may be "a Cat in the Bag"
The focus of Canadians has been of Senators misdeeds though the 19th round of Trans-Pacific Partnership Negotiations will be held August 22nd. These negotiations are far reaching. "The Trans-Pacific Partnership would give corporations the right to sue national governments if they passed any law, regulation, or court ruling interfering with a corporation’s “expected future profits.” They could also sue over local or state laws they didn’t like. The TPP would cover 40 percent of the world’s economy Existing laws and regulations on food safety, environmental protection, drug prices, local contracting, and internet freedom would all be up for challenge. And the decision-makers on such suits would not be local judges and juries; they’d be affiliated with the World Bank, an institution dedicated to corporate interests. As well "TPP would give international firms equal access to federal government contracts.TPP would include aggressive intellectual property rules to protect Big Pharma’s patents and restrict access to generic medicines." In Japan, "The TPP talks are unusual in that participating countries are obliged to maintain strict confidentiality concerning the content of negotiations.In view of the nature of the TPP talks, it will be extremely important that the government refrain from deciding whether it will sign the TPP accord before letting the public know about key points of the agreement. "The TPP suffers from a lack of transparency, public participation, and democratic accountability. " One Journalist has expressed what is occurring in Canada "What we don’t know yet is whether Canada has bought a cat in a bag. It may be an historic leap but is it a leap into the dark?" As of now the answer is "Yes, for all save the 600 Corporate advisers helping to frame the Agreement, http://www.care2.com/news/member/901507364 /3626076 we are in the process of accepting the government selling us a pig in a poke, which may well turn out to be a cat in the bag.developing. Hopefully when Minister Fast reports on his participation in the August 22nd Trans-Pacific Partnership Negotiations attention on Senators' misdeeds will have cooled enough questions may be asked of him. “Secret Negotiations”: The Trans-Pacific Partnership Agreement (TPP): A Corporate Takeover? “The Prime Minister and Cabinet directed negotiators to continue ensuring that Malaysia’s sovereignty is defended in the course of the TPPA negotiations. “They are unanimous over reinforcing Malaysia’s position that we will only agree to the TPPA on terms that are most favourable to the country,” Miti said. The Cabinet has also agreed to two more Cost Benefit Analyses (CBAs). It will focus on the interest of Small and Medium Enterprises and the Bumiputera business community as well as a comprehensive analysis on national interests. From leaks about the text, we have learned that the treaty will empower multinational corporations to sue national governments, including the U.S. government, to overturn any legislation that interferes with the corporation’s “expected profits.” So if we pass a law that requires our state to “buy American” or a law that regulates emissions of greenhouse gas or protects water supplies, or a law that protects workers’ rights or consumer health, a corporation based in Korea or Australia could sue to collect damages. Even today’s inadequate minimum wages laws could be challenged as interfering with “expected profits.” Who will have the power to overturn such laws? A panel of corporate lawyers! If signed into law, TPP will require that all countries signing on change their laws to cut our protections in order to maximize those corporate profits. The government gathers up our every communication, but we aren’t allowed to see what it’s doing in our name. We don’t influence the text and we don’t get to see it. The TPP talks are unusual in that participating countries are obliged to maintain strict confidentiality concerning the content of negotiations. In view of the nature of the TPP talks, it will be extremely important that the government refrain from deciding whether it will sign the TPP accord before letting the public know about key points of the agreement. (Canadian Agri-food Trade Alliance (CAFTA)CAFTA believes that to achieve its objectives, the TPP must eliminate tariffs and quantitative import restrictions on all goods. The agreement must also include new and sustainable approaches to deal with today’s critical trade issues, including non-tariff barriers, sanitary and phyto-sanitary measures, rules of origin, customs administration and other measures that can be critical to ensuring that market access commitments are real. The TPP is being negotiated without opportunity for meaningful public input," it reads. It says that the proposal "will roll back public health safeguards and flexibilities enshrined in international law, and put in place far-reaching monopoly protections that will restrict generic competition and keep medicine prices unaffordable." The Diet members were told that Japan has joined in time for negotiations on market access and other fields the country is keen to discuss. They were also informed that the talks involve a strict nondisclosure agreement prohibiting members from releasing information for four years after the conclusion of a deal. Yesterday at 8pm the "Klabona Keepers" made it up to Didene (The loop) on the Klappan road where they gave Fortune Minerals an eviction notice. The notice stated that the Arctos project is not welcome in the Tahltan Territory and they have 24 hours to leave the area. Today, people are congregating at Didene (the loop...110km Klappan Road) to conclude the 24 hour notice. Please show your support for our territory by joining the people tonight. There are people camping and others traveling back-and-forth.